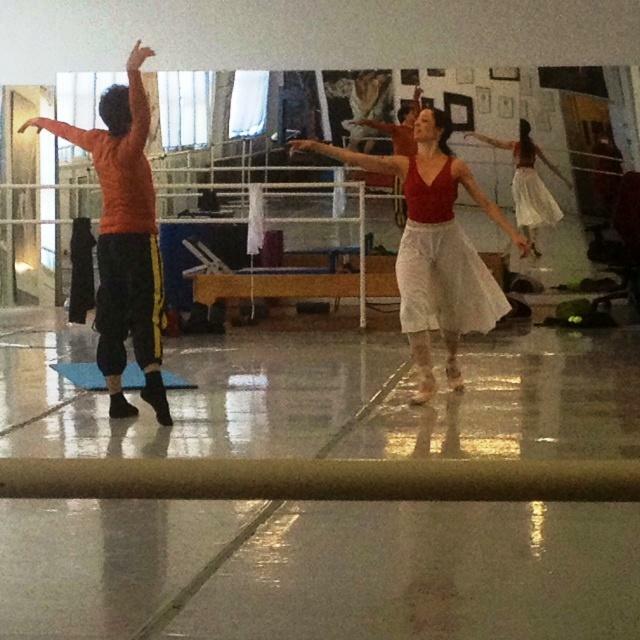 Sergio Neglia & Silvina Vaccarelli rehearse a Pas de Deux for Romeo & Juliet at Neglia's Elmwood Avenue studio in Buffalo. Inside his Elmwood Avenue studio, Neglia and Silvina Vaccarelli glide with ease and grace across the dance floor. 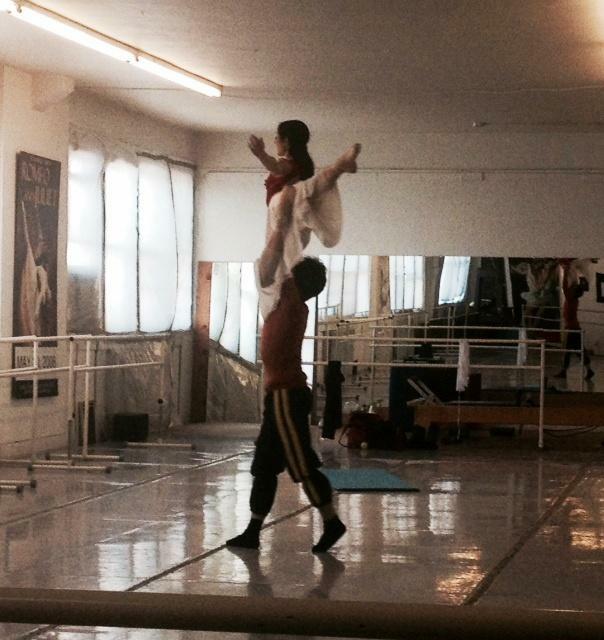 Nelgia twirls Vaccarelli over his head multiple times as they rehearse a Pas de Deux for Friday night’s ballet. "The music goes maybe 64-counts or measures, and I just go around, maybe seven or eight or 12 times," said Nelgia. "So she is up there -- that's a challenge." The dancers have teamed for the last six years together. They make a great match as they achieve Neglia’s dramatic choreography for the ballet. Neglia as Romeo and Vaccarelli as Juliet. "To dance with Silvina really actually, I do have fun. It's beautiful to actually feel that on stage -- that you are not worried," said Neglia. "I heard this Russian dancer say, 'if you are not nervous, you're not human -- it's not possible to be nervous when you are on stage', well I have to say I've never been in my life nervous." 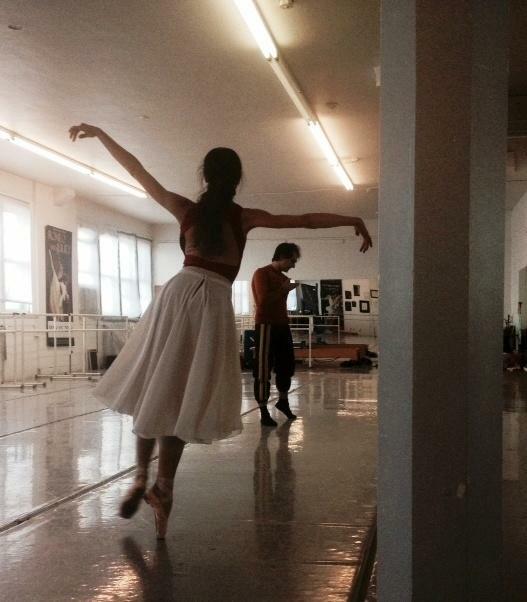 Silvina Vaccarelli rehearses the role of Juliet. They danced Romeo and Juliet in 2011. Neglia translates for Spanish speaking Vaccarelli,- very little English - as we ask her about the challenges of this role. "It's not a really challenge because she has done it so many times," said Neglia. "We've danced like four times a year, so for her to do this with me, she says she feels so comfortable. She's very happy and fine." Neglia said it is a joy to dance with Vaccarelli. "Once you're working together it's like a marriage," said Neglia. The performance will feature the Buffalo Philharmonic live in the Shea's orchestra pit, playing the music for this 'tragic ballet' by Russian composer Sergei Prokofiev. Vaccarelli and Neglia are thrilled to dance at Shea’s - the Argentina trained dancers say it reminds them of home - and the famed Colon Theatre in Buenos Aries. "I love Shea's. It's like dancing in the Colon Theatre," said Neglia. "I love this theater," said Vaccarelli. Neglia continues his long-time tradition of high dance drama on the stage featuring his talent as a swashbuckler. His sword fighting is something recognized in this ballet and his past performances of Spartacus, and is now is passing it on to younger male dancers. "The boys are so well trained and not only body wise, but mentally. So it was like a dream. In about an hour in a-half we had the sword fighting down with all the new boys. It was fantastic. And the boys -- imagine they are 17-years old -- to hold the swords - - that's the best part for them," said Neglia. Neglia's apprentices are now about 17-years old learning his artistic and dramatic stage style to entertain future ballet audiences.